DSS 2017 är nu avslutat som eget projekt, men fortsätter 2018 och framöver som en del i ett större projekt tillsammans med Karolinska Institutet, Linköpings universitet och Uppsala universitet. Detta görs framförallt mot bakgrund av de många positiva reaktionerna detta initiativ fick under året, inte minst i den genomförda enkäten. Ett stort och varmt tack till alla er i noderna Nord, Väst, Öst och Syd som deltagit och bidragit till framgången. Vi hoppas kunna stärka DSS-noderna ytterligare genom dedikerade nod-representanter. Vi återkommer kring detta. 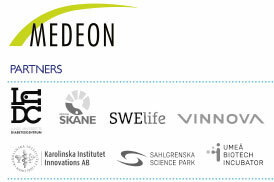 Styrning och plattform kommer fortsatt att drivas från Medeon Science Park. Vi är nu igång med planeringen för regionala möten under våren/försommaren och välkomnar förslag på teman och nya deltagare. Just nu söker vi spännande mindre diabetesbolag (start-ups och uppåt) gärna inom medtech/e-hälsa. Anmäl intresse om ni önskar presentera (chans att också presentera utanför sitt eget regionala område). PS. I maj införs en ny lagstiftning kring personregister (GDPR). Vi kommer att hantera detta för DSS-registret och vill bara uppmärksamma er på att ni behöver ge ert samtycke för olika bearbetningsaktiviteter såsom nyhetsbrev. Vi återkommer om detta. Vi önskar en fortsatt god samverkan. Message from DSS Member: We intend to run an early clinical evaluation of our algorithm, for which we are in need of a diabetologist or a clinician. “Diabsens” is a connected health Multi metabolite Diabetic sensor, reinforced by a patented Algorithm and an App, The sensor will monitor simultaneously 3 parameters together with glucose and send data to the app. Through our Diabsen’s algorithm the data in the app will be processed and a collective analysis of multiparameters will be done in order to study the patterns of all the four measurements in relation to food intake and physical acitivity which will help in drawing meaningful conclusions and inferences leading to predictions of hyper hypo glycemia and make recommendations for medications, dietary plan and physical activity. We intend to run an early clinical evaluation of our algorithm, for which we are in need of a diabetologist or a clinician, the clinician would help us in collecting the blood samples for fasting, post lunch and random blood glucose + 3 other parameters of type 1 and type 2 diabetic patients for a period of 10 weeks and enter the values in Innovosen’s dash board, it will be great if they can also interpret the data, then we will further analyse the patterns of these parameters collected with a diabetic researcher, we will then study these patterns in relation to the food intake, medication and physical acitivity. • Diabsens leads to development strategy of Early Diagnosis and Management which is directed at High risk and low risk diabetic patients and also prediabetics and gestational diabetics. • Diabsens helps to demonstrate the cost-effectiveness prevention. • With the early screening and constant monotiring Chronic diabetics who are susceptible to Renal failure, Heart disease, foot ulcers, Eye problems and other hyper and hypo glycemica complications can be reduced drastically or disease intensity can be postponed by another couple of days. • To provide earlier diagnosis of people who are unaware of their type 2, prediabetes and gestational diabetes. http://media.diabetessamverkansverige.se/2017/11/innovosens_flyer-2.jpg 2499 2500 Malin Bergholm http://media.diabetessamverkansverige.se/2017/07/logo_DSS-300x169.png Malin Bergholm2017-11-01 09:45:042017-11-01 14:29:01Message from DSS Member: We intend to run an early clinical evaluation of our algorithm, for which we are in need of a diabetologist or a clinician.